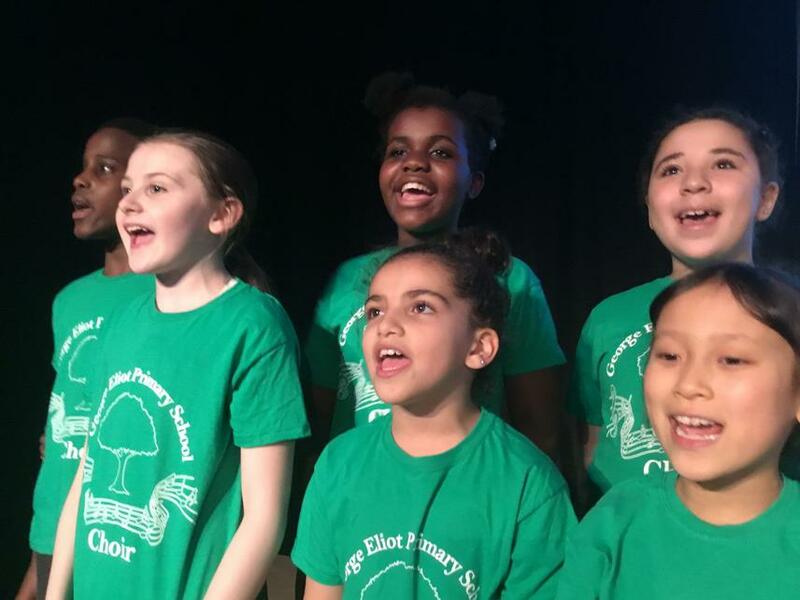 The George Eliot Choir performed on stage at the Regent Hall on Oxford Street last week, as part of the Tri-Borough Music Hub’s Christmas Festival. This was a wonderful opportunity to sing with other schools from Westminster, develop the musical skills of following a conductor and singing in 3-part harmony, and perform with musicians from the Royal College of Music. It was a spectacular concert and the children sang with great enthusiasm and expression. Everyone left feeling uplifted, euphoric and proud – well done to the Choir!